Some find it weird that this "I've been a longarm machine quilter for 20 years" gal has fallen in love with her walking foot. I'm late to develop this crush, but I've fallen hard for the walking foot. 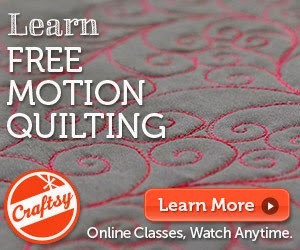 Are you tired of the added cost of sending your quilts to be finished by someone else? We want to help you learn to quilt your own quilts on your sewing machine with expert Debby Brown! 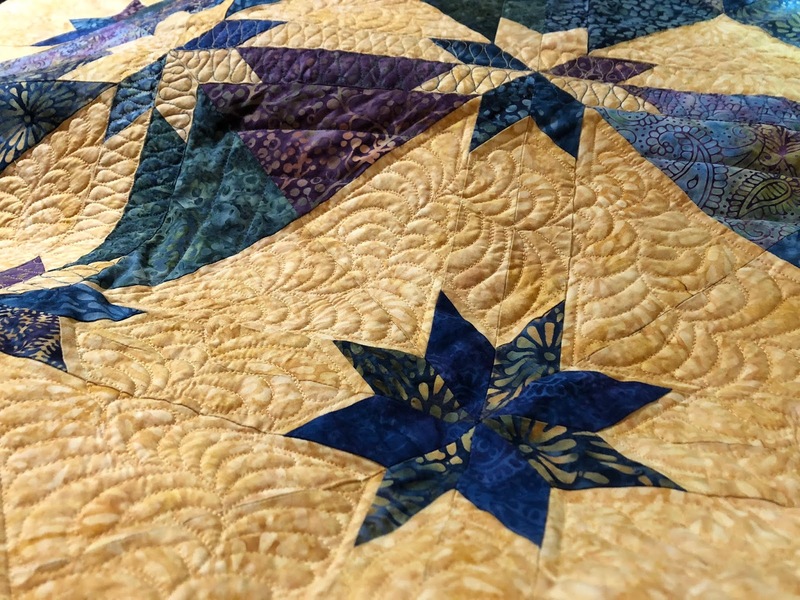 In this Quilter's Skill Builders episode, you will practice several attractive quilting designs achieved with a walking foot or even-feed foot. 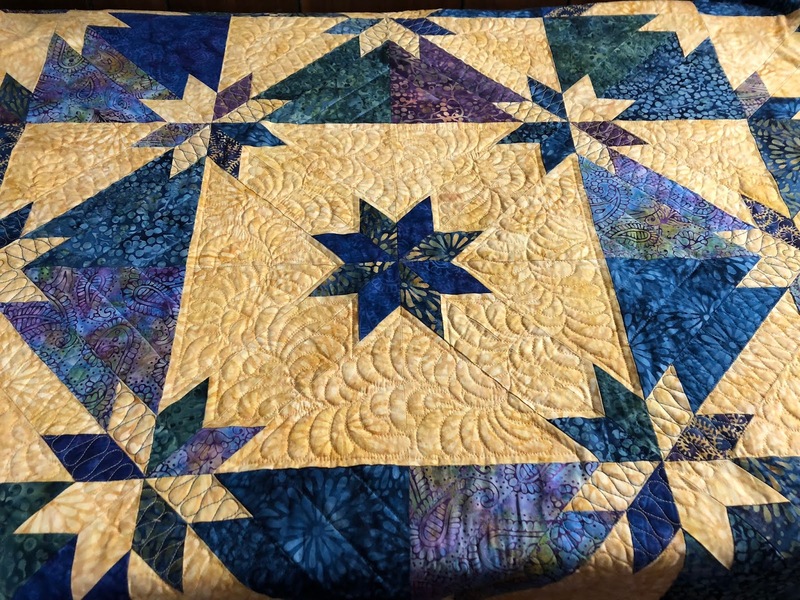 Join Debby as she demonstrates how to quilt five styles of straight-line stitching, piano keys, plaid, cross-hatching, zigzag and squared spiral. • Quilt unfinished quilt tops on your home sewing machine. • Maximize simple straight lines. • Accurately space quilting lines. If you are already a member, sign in, go to Quilters' Skill Builders, prepare some practice quilt sandwiches, and get stitching! This quilt jumps on my "I love scrap quilts!" button with both feet. I pulled all of this fabric from my scrap bin and even though it's a rather large quilt (64"x78"), the scrap bin looks no emptier (although somewhat less blue/green/aqua)! 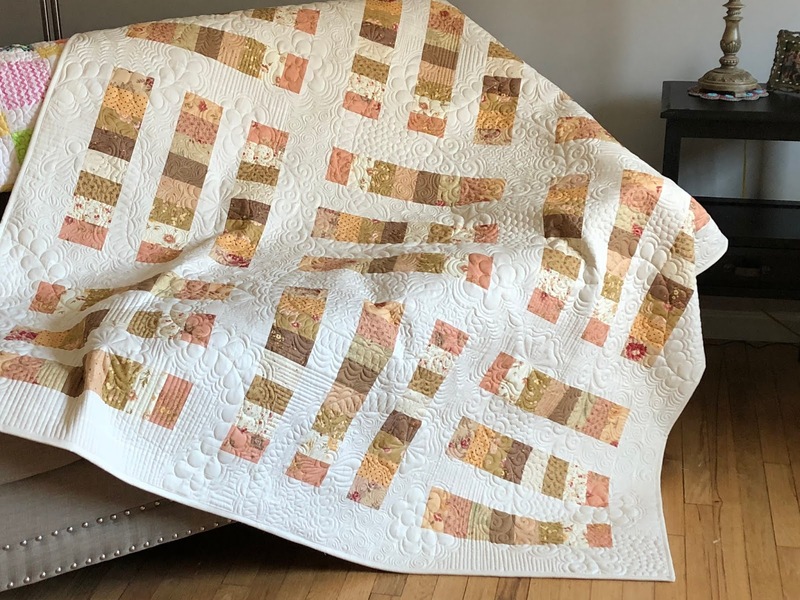 If you have lots of scraps and leftover fabric strips, this is the perfect quilt project for you! 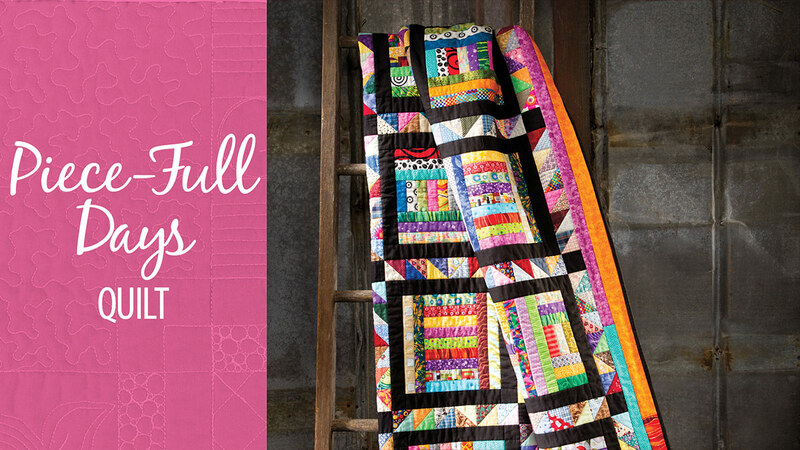 The more variety in your fabrics, the better your quilt will look. In this Learn, Make, Create! 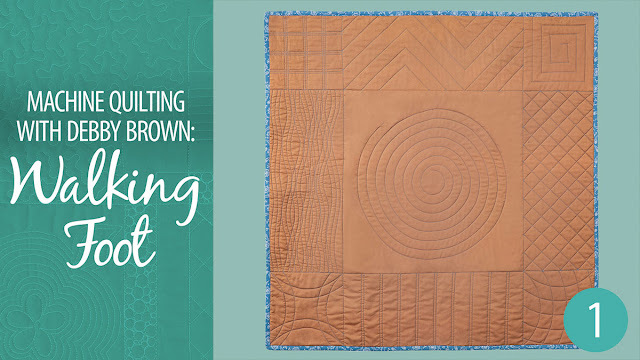 episode, expert quilter Debby Brown demonstrates how to clean out your scrap basket and create this treasure at the same time. • Choose a controlled or a super scrappy palette. • Sew accurate ¼” seams. 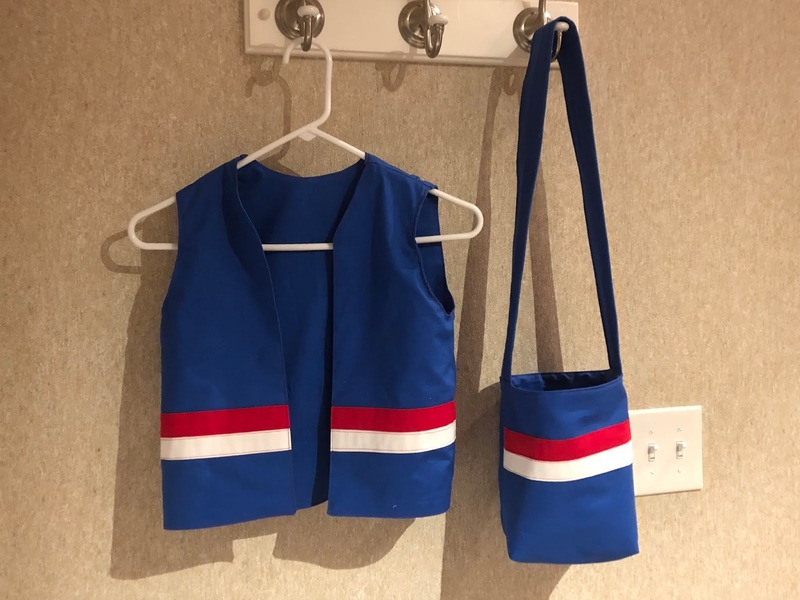 If you are already a member, sign in, go to Piece-Full Days, download the pattern, and get stitching! and want to know how to make one of those, I have a free online class about making fabric twine trivets. Sign up here. As I'm cleaning out my sewing room this year, I've been finding projects and kits I forgot that I had. 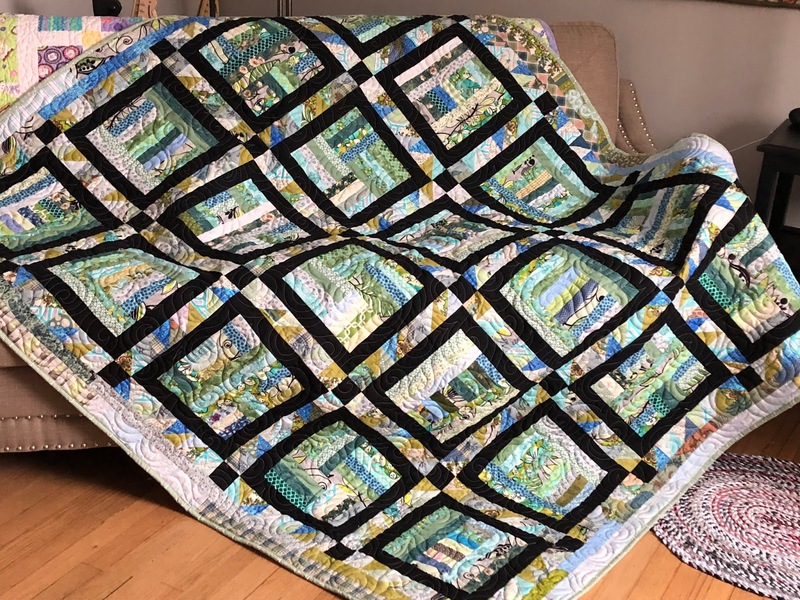 I turned an "I no longer love this idea" quilt kit into a "can I keep this?" quilt! As this is a 70th birthday gift for a friend, the answer is "no," but I'm still tickled at how this turned out. The original kit had over a hundred 2 1/2" strips in it, and I discovered that I could use them to make my Stepping Stones Cutie Quilt. After adding some background and fun quilting, I have this quilt and another million (ok, maybe 80) 2 1/2" strips of lovely Fig Tree fabrics. 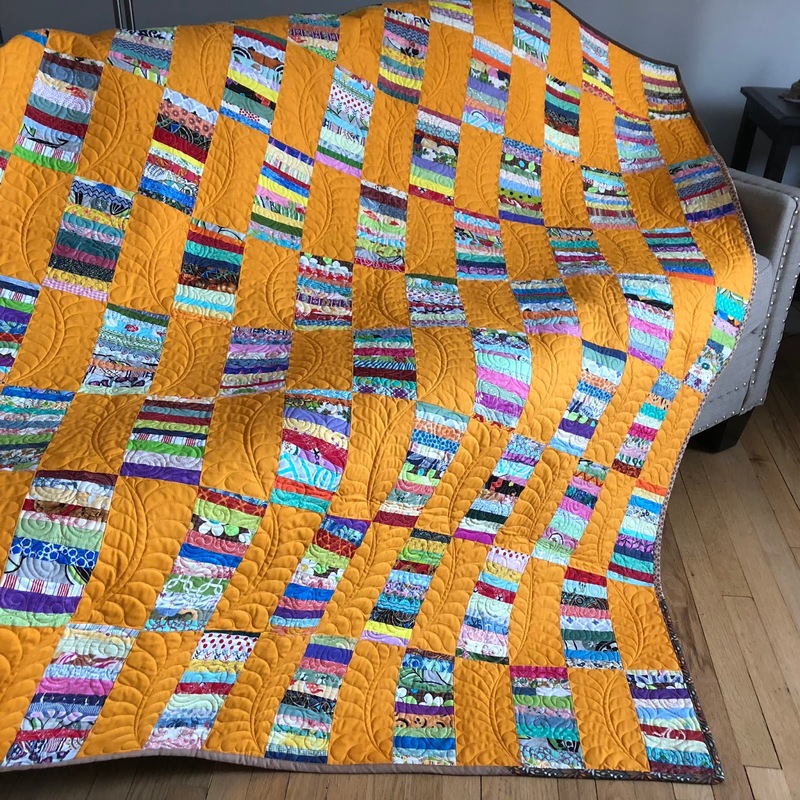 Should I make another quilt exactly like this? Or should I see what else I can make from 2 1/2" strips. 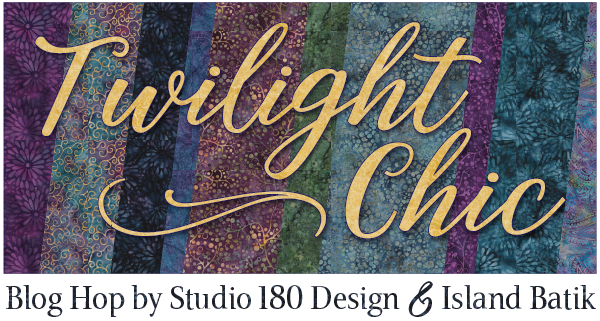 Welcome to all of the Studio 180 Design blog hoppers! 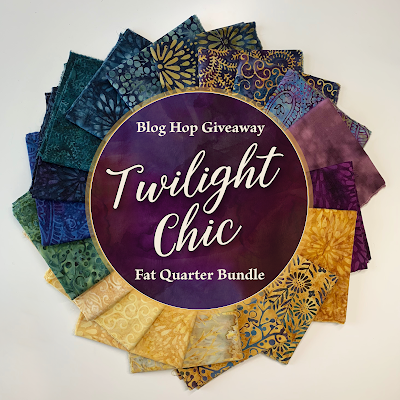 I'm so tickled to machine quilt King's Pawn by Studio 180 Design featuring Twilight Chic fabrics. This is such gorgeous fabric and it's been fun to add thread texture to this quilt. Did you just love that fabric? Want to win some for your very own? 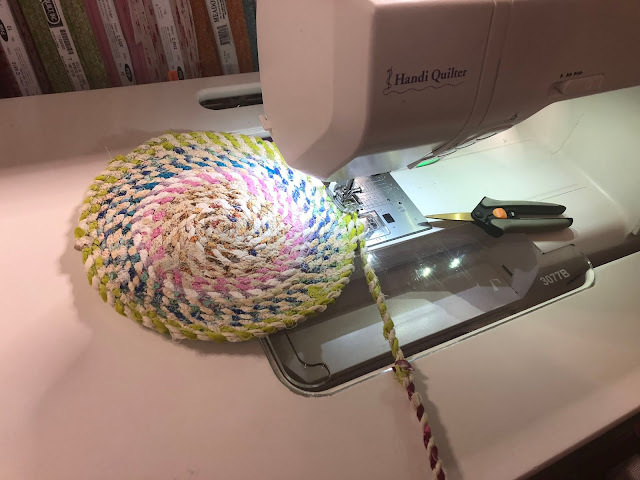 If you are new to my site, be sure to sign up for my newsletter where you can learn about machine quilting and other crafty goodness, like my just released free class on making a fabric twine trivet. It's a Beatiful Day in the Neighborhood -- Make Believe! My grandchildren love to play dress-up and make-believe. I added a Mail Man outfit to the dress-up chest this weekend. I was worried that no one would know this was a mailman costume, but one of the cousins screamed it out immediately as the present was opened. There were five children aged seven and under who all took turns delivering the mail. We filled the bag with envelopes and blank index cards and it was quite the hit. The vest is adapted from a free pattern I found online. I found some postage stamp stickers on Amazon as well. Hopefully they will continue to have fun with this as they retrieve postcards from their non-make-believe mailbox each week!